If there’s one thing we expect grandparents in our churches to do, it’s spoil their grandkids. This is so ingrained in our mind-set that we speak of grandparents having the “privilege” of doing so. But is that all there is to the role? Is spoiling grandchildren the only way grandparents can influence their families, or is there something more pastors can help them see? 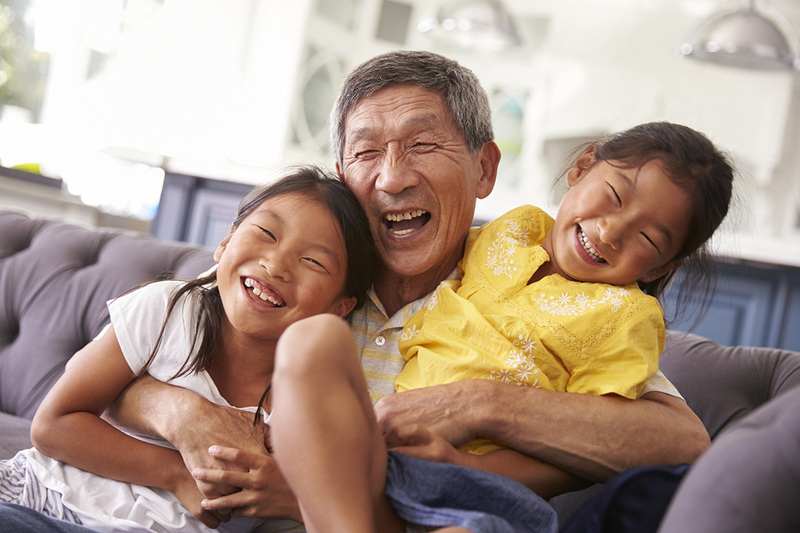 Research suggests grandparents have far more influence than they might realize. The National Study of Protestant Congregations, Barna, and LifeWay Research have all found consistently that mom and dad are number one when it comes to what influences children who go on to have faith in Christ. But as you go down the list, the next most influential people are grandparents, and they are still more influential than any church program. Grandparents are also parents, of course. There is a misunderstanding that as kids get older, they no longer care what their parents think. There are other influences that become a part of their life as they get older, but at no point in time do mom and dad ever lose the top spot of influence. This holds primarily in terms of life values in homes where parents have been involved in their kids’ lives. Peers tend to be more influential on matters like clothing styles, music, etc. If that’s true, grandparents will always be the most influential people in the lives of their adult children, and they are also the second most influential relationship in the lives of their grandchildren. Satan knows that, which is why he has been working overtime, especially in our American culture, to get grandparents to be disengaged. But if they are the most influential people in their families, they need to stay in the game to have a spiritual impact in the life of their adult children as well as in the lives of their grandchildren. Pastors and church leaders should help grandparents leverage their influence for spiritual impact. We live in a culture where grandparents are encouraged to think, “I’ve done my part. I had my time; now someone else can do it.” The Bible doesn’t support this mind-set, though. In fact, it says the opposite—that they should continue to be engaged. Nowhere in the Bible does it say you get to retire from being a spiritual influence. Instead, it says the older you get, the more you should be passing on wisdom. This is true of an elder in a church or an elder in a family, which means grandparents are called to provide wise counsel in the lives of their adult children and their grandchildren. Being engaged in the spiritual lives of adult children and grandchildren can be challenging, though. Some parents don’t care about their children’s spiritual influences; other parents don’t want Christian influences in their lives. Grandparents who want to influence their families’ spiritual lives sometimes find that their grown children are passive when it comes to church attendance and spiritual growth. While this is certainly a barrier, it shouldn’t stop grandparents from engaging them. Determine a specific way they want to influence their family. Ask permission of the parents to be able to do that specific thing with the grandchildren (if they say no, go back to step 1 and pick another alternative). If permission is granted, follow through and do that specific thing that they’ve given you permission to do. For example, I know some grandparents who were concerned about their grandkids being raised outside the church. I asked them to consider how they would like to help the kids, and they determined they would like to read the Bible with them during visits. Now that they had determined how they wanted to influence the grandchildren, the grandparents reached out to the parents and asked permission to read the Bible with them when they were visiting. In this case, the parents had no problem with that, so the grandparents began reading the Bible with their grandchildren. The grandparents learned more about the kids so they could get them a Bible that matched their interests. For one child that meant a Bible that was illustrated to resemble a comic book, and for the other it was a Bible with coloring pages to stimulate her artistic sensibilities. Along the way, the grandparents expressed gratitude. At no point did they ever expect to get a “thank you” from their adult children, but they would always say “thank you” to them. “Thanks for letting us read the Bible with them.” “Thanks for letting us do that with them when they’re with us.” They expressed gratitude and affirmed the positive investments in their grandkids’ spiritual lives. Fast-forward ten years, and now those kids who never went to church are active in the youth group, and their parents have gotten involved in the church as well. These grandparents did one specific thing ten years ago: they got permission, and then they followed through. Influencing the spiritual life of a family isn’t always that clean, though. Many grandparents face situations where they want to influence their grandkids, but the children’s parents are very much opposed to church and Christianity. What can they do in those situations? When parents are more reluctant to allow grandparents to make a spiritual investment in their children’s lives, the grandparents can look for opportunities that both serve the parents and engage the grandchildren. Many times that overlap can be found in programs such as Bible camps, youth ministry, or after-school programs. These types of activities engage kids spiritually while providing perhaps much needed child care for mom and dad. Instead of reluctance, some grandparents face direct opposition from parents when trying to engage their grandchildren spiritually. I remember how this played out in the life of a family I knew. There was a young girl who was being raised in opposition to Christianity, and the grandparents were concerned. Finally, they decided that paying for her to go to a Bible camp in the summer would be the best approach to take. So they asked permission of the parents, and fortunately they agreed. The parents received a free week of child care, and the young girl got to attend an exciting and engaging camp. It worked so well that the grandparents made this the girl’s annual Christmas gift. This investment made such an impact on the girl throughout the years that now she wants to work at that camp when she’s old enough. In situations where parents are opposed to exposing their children to Christianity, one of the most important things the grandparents need to ask the parents is, “Why?” Usually the reason is based on the parents’ experiences of hypocrisy in their own home or church. It may be that they were hurt by something that happened in church. Something really ugly could have happened there, and they walked away from it for that reason. So the first step is to identify why they object to involving their children in Christian activities. From there, grandparents can try to address those specific concerns with biblical counsel or examples, but at least they know what questions they’re trying to answer. This gets particularly messy when grandparents’ adult children are keeping their kids out of church because of how the grandparents behaved when raising them. If there’s anything that has to do with something they did in the past or how they were raised, that’s where the grandparents need to start. The best thing to do in these situations is to be honest and apologize. That might mean saying something like, “If I had to do it over again, I would have done things differently, and I’m sorry you were hurt by what happened.” Sometimes it’s just being willing to offer that, and to be authentic. Sometimes it’s going to require some counseling. This is about grandparents showing their own children they’ll do whatever it takes to address the source of their pain. They’re willing to be honest about their own shortcomings as parents. They’re ready to explain that whatever mistakes they made were their own, and their pain wasn’t something Christ did to them or wanted for them. It was because of sin and the sin-filled world we live in. No matter what happens when they try to involve their grandchildren in Christianity, grandparents should stay faithful. We should encourage them to keep praying, keep telling their kids what God is doing in their lives. Keep setting an example for them. Trust that God will bring them home, and it might just be through the grandparents’ faithfulness that God does that. Regardless of how much grandparents are able to invest in their grandchildren’s spiritual lives, they should focus on the greatest gift they have to offer: wisdom. Grandparents have to realize they’re dealing with a generation that has more knowledge than any other generation that has ever existed. They can know anything about anything at any time. All they have to do is Google it and they know. What they lack is wisdom. They have knowledge, but they don’t have wisdom. They don’t have the understanding that comes from experience and life. How do grandparents impart wisdom to their grandkids? The ways to utilize technology mentioned above are great ways to start. Oftentimes, those tools open up a natural channel for that transfer to happen, because grandparents don’t often know much about the newest technology. This sets the grandparents up to be less like a teacher and more like a student, but this is actually a great relationship through which to communicate wisdom. This could take the form of a grandson coming over to help a grandfather learn Facebook or setup a Twitter account. The grandson knows he has more knowledge in this area than his grandfather, so his guard naturally comes down once they get talking. Once that rapport has formed, the grandfather can now begin to pass on wisdom through their conversations. Becoming a student is simply a way of keeping communication open. That’s really the takeaway for grandparents: do whatever you need to do keep the communication lines open. Remember, they don’t need knowledge but they need wisdom, because they really lack that. That is exactly what the Scriptures tell us, that what we need from our elders is their wisdom. And I don’t think it’s been needed any more than in this generation right now. Grandparents can use their influence to impact the spiritual lives of their family members in significant ways. Once they understand their influence, resolve to leverage it, and keep communication open, they have created fertile ground for God to do His work. 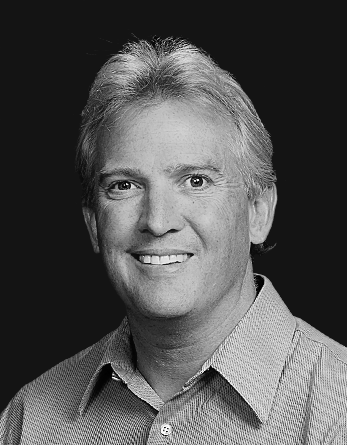 Pastor Mark Holmen is executive director of Faith@Home Ministries and senior pastor of the Crosslake Evangelical Free Church in Crosslake, MN. Pastor Holmen is an author of eleven books, including Faith Begins @ Home Grandparents, and has been a featured speaker for Focus on the Family and the Willow Creek Association.